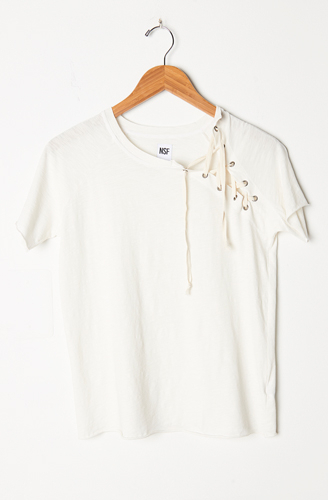 Svetlana tee in super-soft, washed, slub cotton. Straight body with raw edge at hem. Opening on side of neck with lacing.